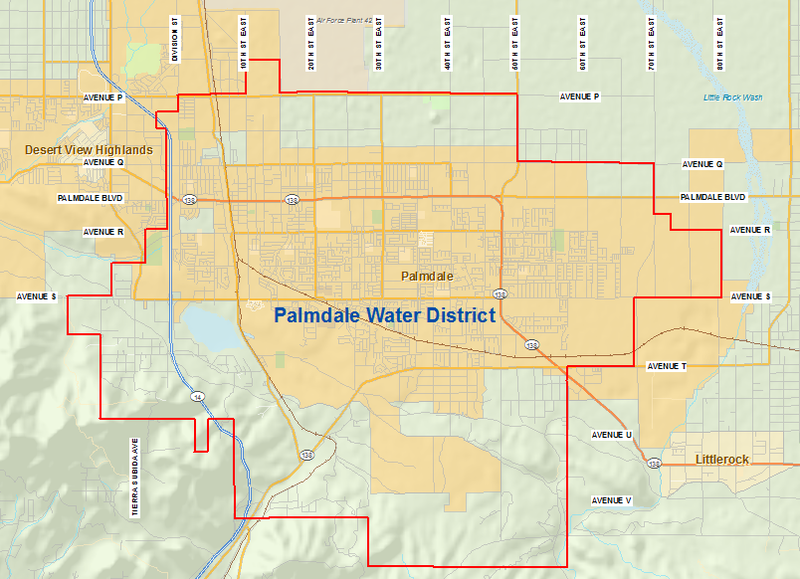 VIEW THE PALMDALE WATER DISTRICT PRESS KIT HERE. The Mission of the Palmdale Water District (PWD) is to provide high quality water to our current and future customers at a reasonable cost. To guide us in this mission, the PWD Board of Directors has developed a vision and an official set of core values. Palmdale Water District produces an average of 6.83 billion gallons of clean, healthy water each year using more than 400 miles of pipe, 24 wells, 20 tanks, 2 reservoirs, and a state of the art treatment plant. Read more. The PWD will strive for excellence in providing high quality, reasonably priced water in a growing Antelope Valley by being a strong advocate for our customers in local water issues, public education, asset management, water conservation, planning and securing additional water supplies, continuing our commitment to operate efficiently with the help of emerging technologies, challenging, motivating and rewarding our employees and offering premium customer service in all that we do. View the Palmdale Water District Organizational Chart.